Are you looking for your own profile url on your business card? Give an online identity to your past experiences and academic career. You are a Doctor, Designer, Architect, Teacher, Student, Model, Dancer, Musician or Air hostess any one can create his/her online profile. 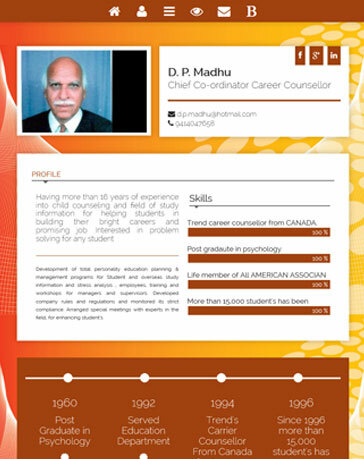 Have you endured with traditional pattern of resume, get something new here. You are looking for a job! or you want to share your current profile among people. 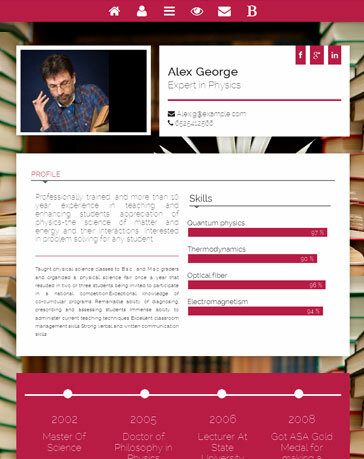 Now Get rid of typing document and no need to insist reader to read the verbose text, do some creative with graphical themes using this Web Profile tool. 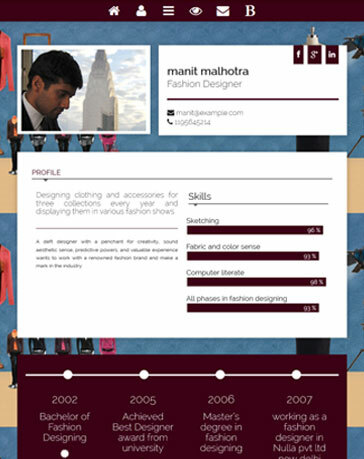 Suitable to any profession, anyone can create its profile. Clean and attractive representation of your profile. 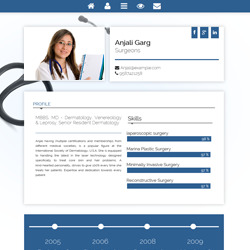 Easy and interactive CMS to update your information. Choose one of featured themes and ability to easily create your own. Fully Responsive- Compatible with all devices PC, Tablet and Mobile. Run smoothly with all major devices. Access your online profile on gadgets like Mobile, Tablet or PC. It’s time to go latest with technologies; your profile website is designed to run on any size of screen so that you and your friends are able to view it on any device any time. Simply choose a pre-defined theme, we have a showcase to have a good one for you. This doesn't limit here, you can create your custom theme as well, pick color brush and create what you desire. This is as simple as you play with TV remote. 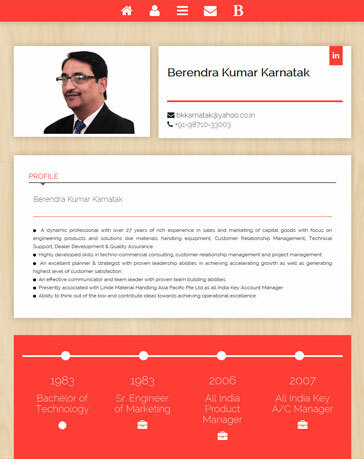 Just select your profession, get register, choose desired theme, fill information about you and ready to launch.